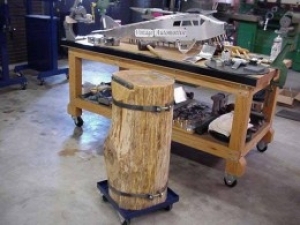 Homemade wood stump metal shrinker intended to serve as a support surface during forming operations. Come to think of it, a wood stump does make for a solid work surface. I like the way how this was set up.